There are many activities to pursue in Barrasford and bird watching is one of the most popular. 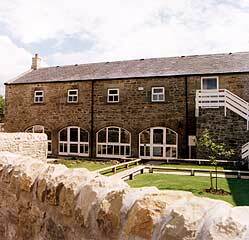 The village on the river North Tyne near Hadrian's Wall is home to variety of species including birds of prey. The connection between Barrasford and bird watching continues to this day. Rumour has it that a nesting pair of Peregrine Falcons have been spotted close to Barrasford, news that has led to an increase in the number of ornithologists from Northumberland visiting the area of Tynedale. If you are an ornithologist planning a trip to go bird watching in Tynedale please check our guide to accommodation and hotels in Northumberland.